The past two years I have turned increasingly to herbs for natural healing. A good friend told me about herbs and how they help her family and I begin to do research. Soon I started taking herbs and have had excellent results. Herbal medicine has gone from alternative to mainstream. 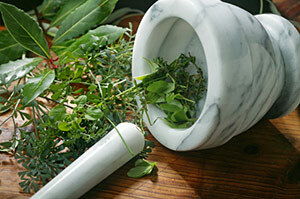 The proper use of many common herbs (some of which can be easily grown at home) can help keep you healthy. Try herbal infusions in teas, lotions and soaps to see what works best for you.